After the famous Hike Natasha and Rajnikant Virtual Assistant, its time to get your Whatsapp Bot! Yes, you are hearing it right. “Thewhatsapp” team has made a virtual assistant for WhatsApp Messenger providing important services and utilities. 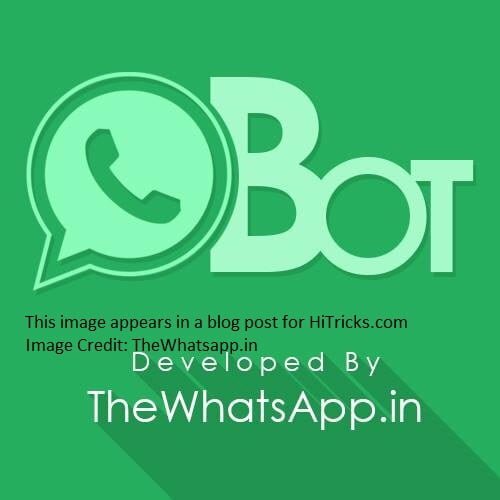 It is a fully functional WhatsApp robot that auto-replies to our messages based on some preset strings or keywords. However, it proves useful at the time of necessities. Let’s look at the sneak peaks of the WhatsApp virtual assistant. Thewhatsapp team is no way related to the official WhatsApp. They are developed by Krunal Panchamiya, Virat Patel and Mitul Gadhiya, trios from Rajkot. This buddybits post mentions that the initial aim behind launching this program is to provide important services for free, especially those ones, which are usually charged by mobile operators. On the other hand, whatsapp is a completely free platform and is used by millions of people, thus making it user-friendly. So they launched this service on 25th May 2015. You can visit TheWhatsapp Website and Facebook Page. YOU MAY ALSO LIKE: Lifi, an Optical Wireless Network, is 100x faster than Wifi. Check it’s advantages. How to Activate Whatsapp Auto-Reply Bot? Getting this WhatsApp virtual assistant for your WhatsApp is simple and easy. Done! You will get started with Whatsapp Bot right from there. You need to communicate with the preset strings only, otherwise you won’t get any replies. YOU MAY ALSO LIKE: The Hottest SmartPhones of 2015 in unbelievable discounts. Please note that currently this WhatsApp auto reply feature is going under rapid development so more features will be added soon. Also, you may find bugs in the current version, as its new. Wish them success so that they can build it more and more useful. Get a pack of Attitude Status, Cool Status, Funny Status, Clever Status, Motivational Status, Best Whatsapp Status, Current Affairs Status etc. Just message: @waststus and you are good to go. First ever WhatsApp auto-reply bot with a lot of useful features and services. We certainly support this attempt and are always grateful to them for this opportunity. It responds really fast. Within 2 seconds of sending a message. 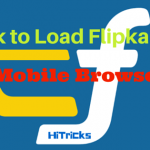 The external links are modified by adfly network. Currently adfly is banned by different browsers, including Google Chrome. So, no external links can be opened by most of the browsers, especially news updates. Ads in links make it spammy. Nowadays we have too many resources for getting news updates in first hand. So, visiting an ad link for reading news articles, waiting and skipping the ad is something users try to avoid these days. Well, leaving the ads, its all fine. We know a development needs ads to stay live. Still, ads are a bit more intrusive in this case. But now it’s up to you. Try it out. Hope you will find it great! 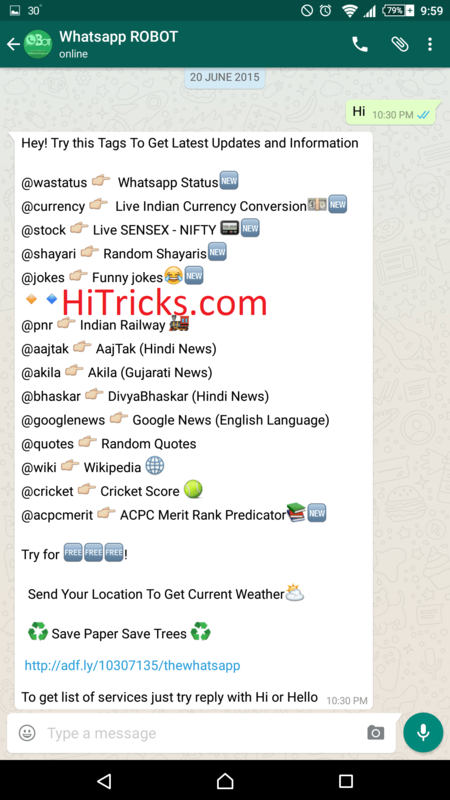 Thanks for reading How to activate Whatsapp Bot. Now Watch out the promo video. Bye! This contact is not showing in whatsapp contact list??? The domain is not working. I have an ideas to use this bot, can I contact you to discuss this ? At first the contact didn’t show up… then after refreshing several times it did finally but its showing invite icon …help plz. 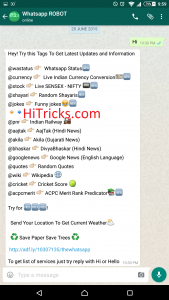 Nice tricks ever i used in whatsapp. Olá sou brasileiro como devo colocar o numero? também tenho que colocar os sinais.será que vai aparecer nos meus contatos de whatsapp. Not showing in contact list..
How to communicate with whatsapp? if any service have ? how to application integrate with whatsapp ? 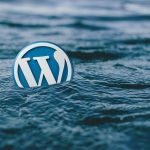 using any third party tool or payment gatway? For another country the number is the same? Or “91 91 94089…”? It doesn’t appear in my whatsapp contact list even after refreshing. I have a similar bot but govt is not providing me with the api for PNR. Also, any suggestions for jokes/quotes api? I’ve tried all from mashape.